Join us at Rufus Stewart Park for our first Summer Concert of the year! Be sure to bring your family and friends for a night under the stars to listen to some of the hottest local bands. How does one begin to describe a band that encompasses every format of music in their repertoire? It starts with one word , “Class”. 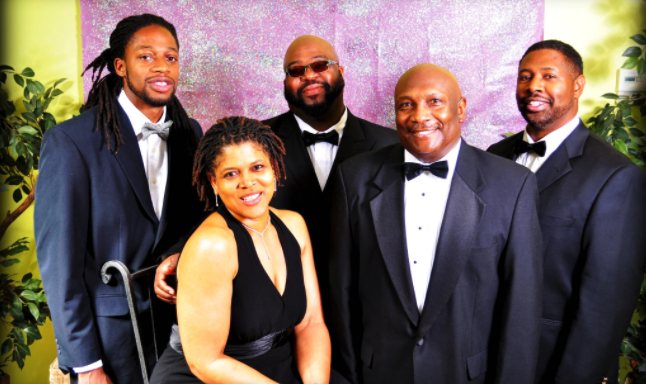 The Henley Varner Band is a multi-talented musical group based in McDonough, GA. A variety of styles such as Pop, R&B, Jazz, Neo Soul & Oldies. The band with over 80 years of combined experience will give you an evening of entertainment you won’t forget. The Band has given life to numerous events including country clubs, private parties, outdoor festivals, wedding receptions and night clubs. The Henley Varner Band has taken the local and metro Atlanta entertainment scene by storm. The four musicians that make up the band are: Emmanuel Burney, Keyboardist; Arnold Irving, Bass Guitarist, John Henry, Drums & Henley Varner, Saxophonist & vocalist. Featured Vocalist, Karen Bryant and Maleke O’Ney are interchangeable and have astonished crowds with their vocal skills and unique style. Guaranteed to please all audiences, this band makes your enjoyment their top priority.enley Varner, a native band of McDonough, GA.